Sure, the screen is better for movie watching, but not as good as a seven inch tablet. Plus, the larger screen will drain the battery faster. Also, who uses their smartphone solely for movie watching and productivity tasks anyways? Most of us aren't sitting in airport terminals all day every day. Most of the time you'd want to watch a movie or do something productive you'll be at home anyways, and can use a tablet, laptop, or computer. 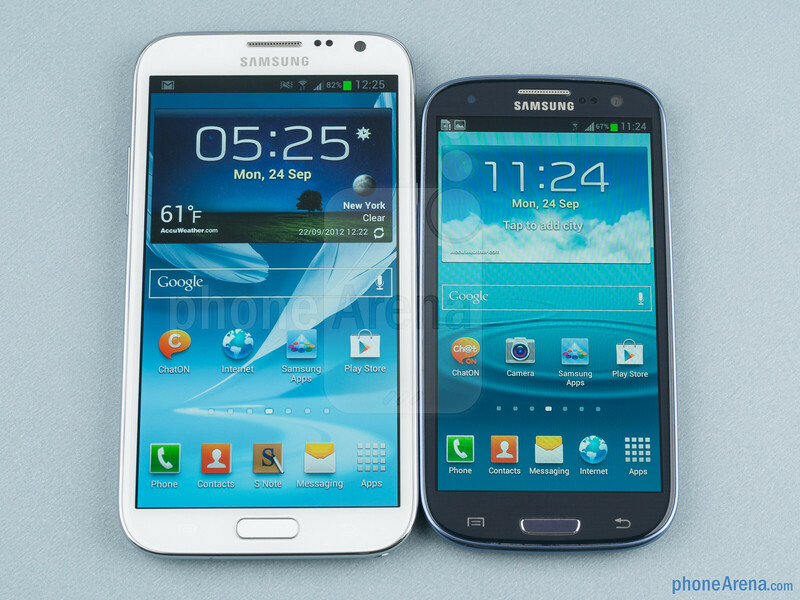 Why then sacrifice the portability of a smartphones in favor of something like the Galaxy Note II? Having used a 3.5 inch iPhone 4S and a 5 inch HTC DNA, I can say that while I prefer the viewing experience on the latter, it's not better to the extent that I'd feel horrible using the former to watch a few Youtube videos or other clips while on the go. I would prefer the DNA for longer viewing experiences, but really, how often do you find yourself in a situation to watch a full length film on your smartphone? Additionally, doing so will just kill your battery if you don't have access to a suitable charging station anyways. That is why, in my mind, phablets will die off. Like the super small feature phone and the netbook, it serves a niche market that doesn't justify its existence upon closer inspection. The only reason to have a phablet would be to watch movies and do productive tasks away from home, but really, how often do you find yourself wanting to use such a device for such a long period of time? You'll probably have access to something that it more suitable for the task at hand in a reasonable amount of time anyways. I find that having a medium sized smartphone (let's say iPhone to Galaxy S4 sized) along with a tablet (Nexus 7 to iPad sized) is preferable to having a phablet. At a certain point, that extra size goes to waste because it's harder to carry around, drains your battery during periods of extended use, and excels at tasks that can be done even better on a tablet, laptop, desktop, or TV. A medium sized smartphone allows you to do all of the quick consuming that the device is meant for, i.e. social networking, texting, email, and apps, while maintaining the light, thin, highly transportable package that phablets will never have. In turn, a tablet can be used for more productive tasks along with more extended periods of browsing the web and movie watching. Tablets themselves also have much better battery life due to their size, and you won't have to use up any of the data on your monthly cell phone plan because you'll probably be home when you use it. To close, I just don't see where the phablet fits in this situation. They're too large, and the tasks people say are better suited for them are all power hungry and can be done better on other devices. Indeed, most people won't even have the time to do these tasks while on the go anyways, so the sacrifice in portability is wasted. Since the majority of people do productive tasks and movie viewing while at home, why not just have a tablet, laptop, or desktop for that instead of lugging around a phablet all of the time, when the majority of tasks you'll do on a smartphone don't require that kind of size? I know plenty of people will disagree with me, but they are the vocal minority. Unless everyone starts wearing cargo shorts and suddenly finds themselves with hours of free time to watch movies while away from home, there is no reason to carry around a larger device all of the time. It is true that there will always be a small market for bigger phones such as the Galaxy Note. Soon enough however, smartphone makers will find that bigger isn't always better, and that plenty of people still prefer the size of even the 3.5" iPhones, despite what you see on the web with people constantly making fun of them for being too tiny. Just as in the race for the tiniest feature phone, the CPU with the fastest MHZ, and the smallest netbook, the market for the phablet will eventually crash when people realize that it doesn't do anything quite as well as its smartphone or tablet cousins.